US President Donald Trump has declared war on his NATO allies is a long-running row about who pays for defence in Europe. What was exactly said behind closed doors at the NATO summit in Brussels is only known to those who were there. But what Trump and NATO officials are saying about the summit varies. Trump says he threatened the US would leave the alliance if member countries did not up their spending on defence to 2% of GDP and that ‘tremendous progress’ was made. He went on to add that he believed in the alliance and that the US would play a prominent role in supporting European allies in the future. But NATO chief Jens Stoltenberg has a different recollection of the talks. He told the media that the allied countries in NATO had a commitment to spend 2% of GDP on funding the alliance by 2024n and that the promise would be met – and that the figures were agreed four years ago before Trump even considered running for president. Trump said: “We made a tremendous amount of progress today. It has been really amazing to see the level of spirit in that room. Italian Prime Minister, Giuseppe Conte, Canadian Prime Minister Justin Trudeau and French President Emmanuel Macron confirmed they had gone beyond what was agreed four years ago. “Everyone agreed to raise spending, in line with commitments made in 2014,” said Macron. He explained that a request to raise spending to 4% was a non-starter and that France would not spend billions more beyond that. “There was a communiqué released yesterday it was very detailed and I invite you to read it. It shows the measures approved by all the member states. This communiqué is clear, it reaffirms a commitment to 2% in 2024. That is all,” said Macron. NATO, formed in 1949, consists of 29 countries stretching from the USA and Canada, across Europe to Turkey. 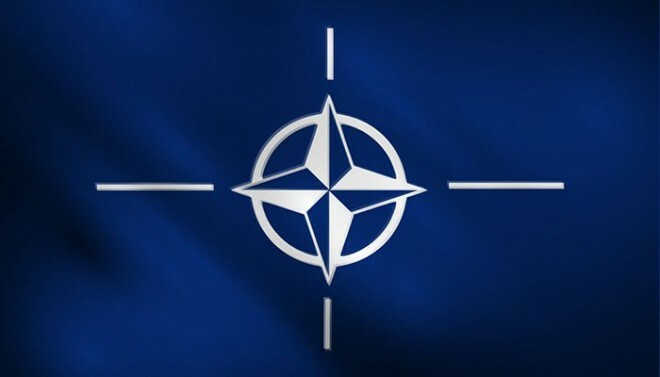 The defence pact says an attack on any NATO member would be considered an attack on all and each member country has an obligation to respond to hostilities against another NATO ally. Trump has argued too many wealthy European countries have failed to pay their way, leaving the US to pick up the tab while denying the US trade opportunities.